Canvas: Canvas is a new Course Management System (CMS) that Taft College is using for all Distance Learning courses. How do I know if my class is on Canvas? Where do I go to access Canvas? Step 3 and 4: On the right hand side select “Edit Settings” then click the box that says “Change Password.“ Enter your current password and desired new password, then “Update Settings“. *If you are locked out of canvas or cannot remember your password, call the Distance Ed Help desk ASAP (661-763-7917). You are responsible for your courses and attendance. Why can’t I see my course when I log in? Reason 1: Courses will typically open up the first day of class. Some instructors may open them earlier. If it is the day class starts or later and you cannot access your online course, contact Distance Ed Help Desk or your instructor immediately. Reason 2: This also may be because a course has ended and no longer shows on your dashboard. 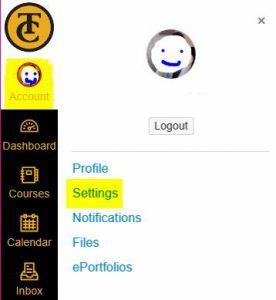 Select courses on the left hand navigation bar, below the dashboard icon, and select “All Courses.” This will give you a list of your current and past enrollment. Will I be dropped from my class if I do not log in on the first day? Usually students are dropped due to not actively participating in the course before census. If you have difficulties logging into your course let your instructor know to avoid being dropped. I just added a course and cannot log in. When will I be able to see it? It takes 24 hours for you to be added to a course. Rosters are updated every morning. 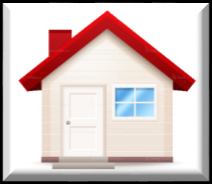 If it has been longer than 24 hours call the Distance Learning Help Desk at (661) 763-7917. My class disappeared. I was able to log in and now I cannot see it. Contact your instructor or the Distance Learning Help Desk immediately for assistance. How can I get my instructor’s email address? Your instructor’s email is the first letter of their first name and their full last name followed by @taftcollege.edu. Check your schedule for their name.